Standing at the crossroads of Cairncastle Village in County Antrim since at least the 1800’s, Matties Public House & Restaurant is one mile inland from the seaside village of Ballygally & nestled between Larne & Glenarm on the beautiful Antrim Coast. 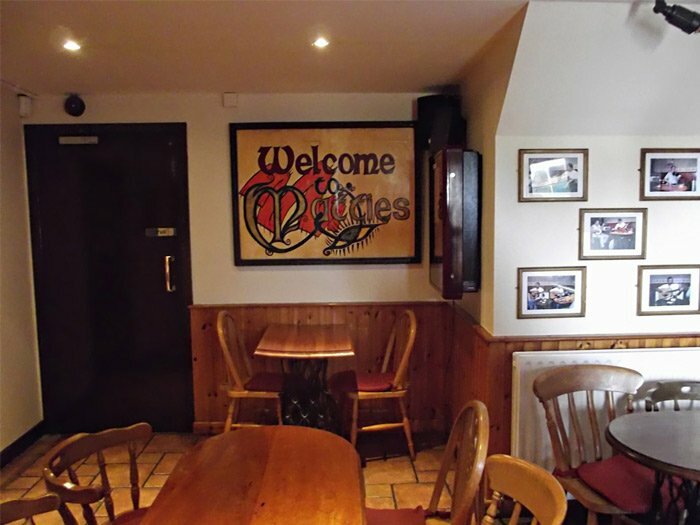 Matties traditional charm and lively atmosphere with the best pub food makes it a place to visit time and again. Have a drink in one of our ‘Boxes’, watch the Rugby in our ‘Wee Room’ or have some home cooked food & entertainment in our Lounge area. Our favourites from the Menu include Boxer Jim’s Steak & Guinness Pie, Matties Chicken and Burgers with smoked bacon and cheese. Catering for up to thirty people, our upstairs Function Room is available for Private Functions including Birthday & Anniversary Parties. 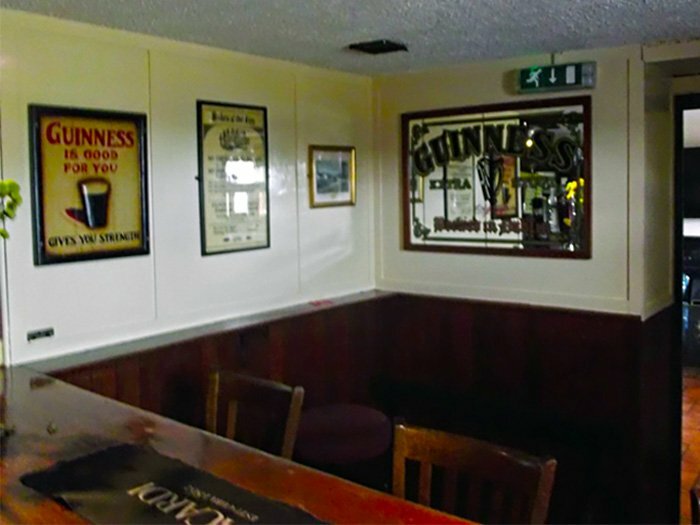 One of oldest traditional pubs in the Larne area, you can enjoy fresh home cooked food at Matties, complemented with the finest selection of beers, wines and spirits. We fuse the traditional and modern with our original bars (known as Boxes), our entrance hall ( or ‘Wee Room’) with open fire and 50 ” TV to our lounge area where we serve our bar meals and provide entertainment. Our upstairs Function Room can cater for private functions for groups of up to thirty. Great value home cooked bar meals keep people coming back to Matties Meeting House. As well as traditional pub food favourites, Matties has it’s own signature dishes including Boxer Jim’s Guinness Pie and Matties Chicken, with a Bushmills Whiskey, cream and spring onion sauce. Friday Night is Steak Night. Prime local Sirloin Steak, chips, onion rings & vegetables all for only £9.95. A delicious Roast is on the menu every Sunday. We pride ourselves on our Live Music and every Saturday Night our entertainment includes a variety of musicians from acoustic sessions to a full five piece band. 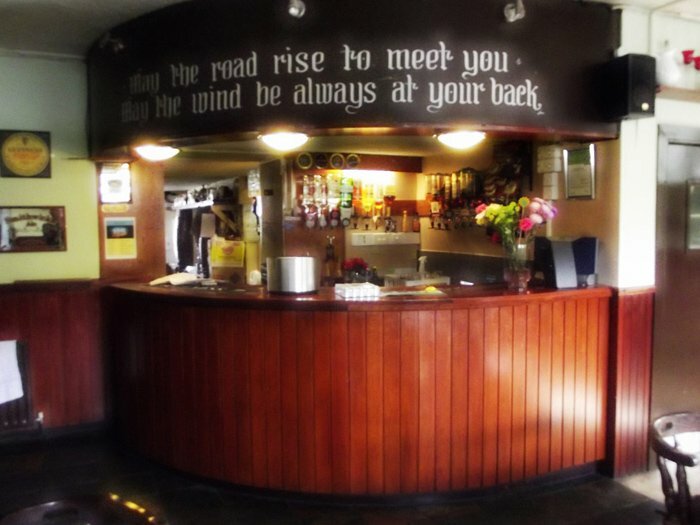 These are great sessions whether you want to enjoy a pint of our renowned Guinness, spend time in our traditional bars or have some food from our extensive menu. On a Thursday night you can enjoy the talents of our local musicians with an acoustic folk singing session, soaking up the atmosphere of our traditional pub. Thankfully my boyfriend and I found this place on valentines night after a very disappointing experience (no entertainment) in the Castle . . . Craic was great and the staff even gave us a lift back to the Castle. . .
We had a brilliant meal in Matties Meeting House. This is a complete hidden gem just off the main Antrim Coast Road in County Antrim. . .
My girlfriend and I stayed in the local BallyGally Castle and were extremely disappointed with the hotels lack of entertainment so popped up the road to Matties where we got the warmest welcome . . . the most friendliest people and staff that you could meet. . .
From a Scotsman who came from Cork to your pub ….great spot and caters for everything . . . food sport drink and music . Cheers! Went here for the first last year. The food & Craic was so good we went back the next night . . . All the food is freshly made to order. . .
Design by The Larne Web Design Co.